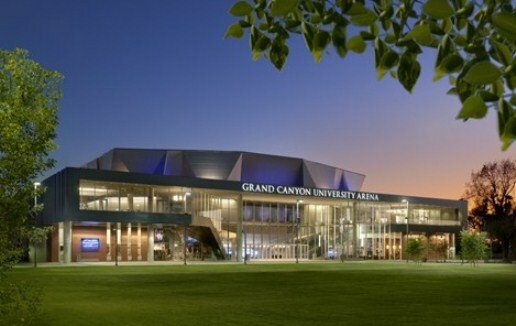 July 19, 2013 — Grand Canyon University President and CEO Brian Mueller issued the following statement in response to the most recent discussion concerning GCU as a Division I member and its status as an investment-based education model. “To begin, I first want to address why Grand Canyon University is a for-profit entity. The university began in 1949 as a not-for-profit university yet, only 10 years ago, in the fall of 2003, Grand Canyon University was at a critical juncture, teetering on the verge of insolvency and facing the prospect of bankruptcy. Students, faculty and staff were justifiably concerned that their university, with indebtedness of $20 million, would be forced to close its doors after 54 years as a Christian university. Without a significant donor base, we determined that the best solution was to develop a business plan, attract investors, and use those funds to implement a financial model that would allow the university to be self-sustaining. In 2008, we raised additional funds for campus expansion through an initial public offering. Following this initial public offering, in the years 2009 – 2012, our after-tax profits were $182 million, yet we invested $308 million in building classrooms, laboratories, dormitories, technology and athletic facilities. In light of this, many people ask how our investors make money. The answer to that question is that as a publicly traded company, our investors do not make money through dividends, but rather, they make money on the appreciation of our stock price. “It has been suggested that we will make money off of our athletics program and that these profits would be funneled back to our stockholders. This could not be further from the truth. In budgetary planning, we know that we will lose money on our athletic programs. Similarly, we also lose money on our fast growing, and very diverse, fine arts programs. Both the athletic programs and fine arts programs are designed to provide a high-quality educational experience for the athletes and performers, as well as to contribute to the overall vibrancy of campus life. This is the case for the vast majority of athletic and fine arts programs in universities across the country. It is true that the major priority of the university is the quality of its academic programs, however, the excellence of the athletic and fine arts programs also contribute to building the brand of the institution. Part of the importance of the programs is to draw attention to the overall excellence of the university, which contributes to the value of the degree earned by our graduates. “It has also been suggested that for-profit universities cannot provide a good foundation from which to support student-athletes who work so hard to balance significant time commitments of sports with their work in the classroom. Again, our history proves this not to be the case. We are especially proud that Grand Canyon’s athletes have been truly ‘student’ athletes. Last year our GPA across all athletic programs was 3.12. In the recent past, we have finished in the top three of our 14-team NCAA Division II conference in GPA performance. We are also proud that our athletes finished first in the Pacific West Conference Make-A-Wish Foundation competition and each athletic program has its own special mission outreach project in the local community. Among other projects, our athletes support local charities and causes such as St. Vincent de Paul Homeless Shelter, Arizona Recreation Center for the Handicapped, Special Olympics, Make-A-Wish Foundation, Serve the City, and The Run to Fight Children’s Cancer. This is an excellent letter. Not only because of how well written it is, but the veracity I see in it. Brian Mueller has eloquently expressed the soul of Grand Canyon University. I call it soul because we, as employees, students, investors, and graduates are the heart and soul of the university. What we do, and how much we love doing it, speaks volumes for higher education. Our priority has always been in helping others “Find Their Purpose,” and this can only be done as we continue to commit all of our resources, financial, emotional, and spiritual, to assist communnities in building and maintaining character and worth. I am the epitome of a ‘LOPE, and I concur with Brian Mueller and anyone else who sees the truth jump from this article. As a Student I back GCU 110%. This is my home an I would choose no other University, and anyone that doubts GCU’s Priorities is clearly not a student, or a student that understands the history of Grand Canyon University.